On Sunday I participated in the Our House “Run for Hope”. I didn’t actually run; I walked 2.7 miles. 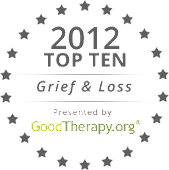 Our House is a terrific grief support center in West Los Angeles. Their work with adults and children is important and life-changing. I was glad to support their event, and my friend, Fredda Wasserman, who works for them. Everyone who walked or ran got a t-shirt. When you registered, you had the option of personalizing your shirt so everyone would know who you were honoring. I opted not to: I couldn’t decide on only one person. As I walked the route, I made note of why people were there. “I’m running for…” the backs of their t-shirts read, with a name, relationship and photo. There were lots of families and groups, babies in strollers and one woman in a wheelchair, creating an unusually festive mood for what could’ve been a very somber occasion. People ran in memory of parents and children, siblings and grandparents (even a couple great-grandparents), aunts and uncles, spouses (and one ex-husband). I didn’t expect to see so many people running for their friends. I noticed one group in particular. A sign on the route mentioned Ro, and there were maybe a dozen or so who wore her picture on their backs, listed as ‘friend’ or ‘neighbor’. I asked one woman if she worked with Ro. No, she said, a neighbor. But her whole face lit up at the mention of her friend’s name. We are two weeks from the first anniversary of Ro’s death, and I’m sure the timing of the Run for Hope was important to them. Me? I walked for my friend, Delle, and I walked for my father. I walked for my friends who have died this year, and those who are long gone. Too many to fit on the back of a t-shirt. Maybe you’re struggling with a way to honor a friend who died. A walk/run on a beautiful Sunday morning is a nice way to remember them. You don’t need a big group with you: your friend will be right at your side. Thanks, ladies - I hope you find Friend Grief helpful to you.